Stunning 3-story Colonial with over 3650 sq. ft.& picturesque views & on Woodland Lake in Medina. This 4-bdrm is complete w/ 1st Fl. Master bdrm, 2 lg bdrms on the 2nd level- w/ huge walk-in closets, 3.5 baths, 2 fireplaces, 2 laundry rms, 2 kitchens & In-law/Add. living suite in the walk-out basement. The Contemporary accents, curved walls, vaulted ceilings, Skylights, Ceiling to floor windows & neutral color palette throughout. 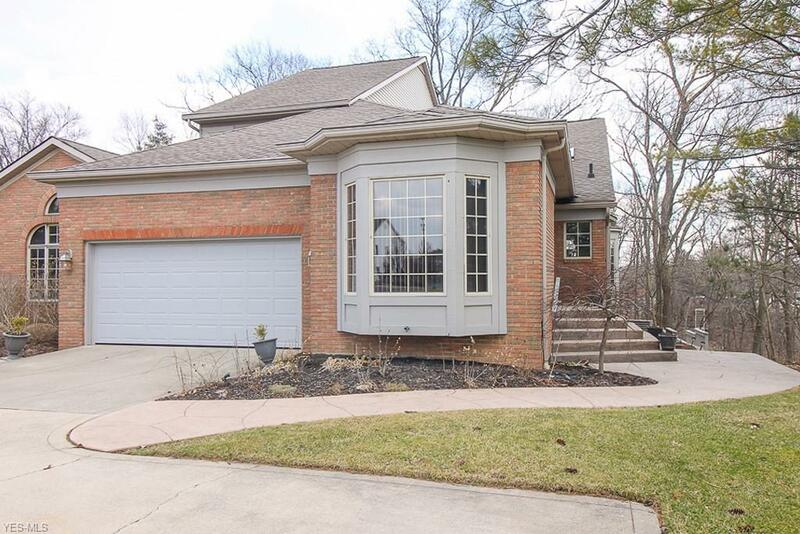 Enjoy the convivence of the home Office w/ built in bookcases & Brazilian hardwood fls. New Gourmet Kitchen with SS appliances, Granite countertops, Glass tile backsplash and opens to the Lg. Great rm & Dining rm w/ HW. fls & French doors leading to the deck & beautiful views overlooking nature & beautiful Lake Medina. 1st fl. Laundry rm w/washer & dryer. Additional living space in the walk-out basement offers Kitchen w/ Granite countertops, Range, Microwave, Refrigerator & wine ref., Pantry, Laundry rm w/washer/dryer, Bedroom, Family rm w/gas fireplace & French doors leading to a private deck. Extra space for Wine Rm, workout rm or workshop. Upgrades: New Kitchen & Appl.- All flooring (2016), All New faucets & light fixtures (2018), Garage door (2018), Front door (2017), New screens (2018), Lower Level-Washer/Dryer/Range/Microwave/Wine & full size Refrigerator (2017), Replaced decking & painted (2018), New locks (2018), Blinds (2018), Mantle (2017) & Freshly painted (2018). Minutes away from Shopping, Restaurants and Historic Medina Square.